Fàilte air Alba! Welcome to Scotland! Inicio > Fàilte air Alba! Welcome to Scotland! 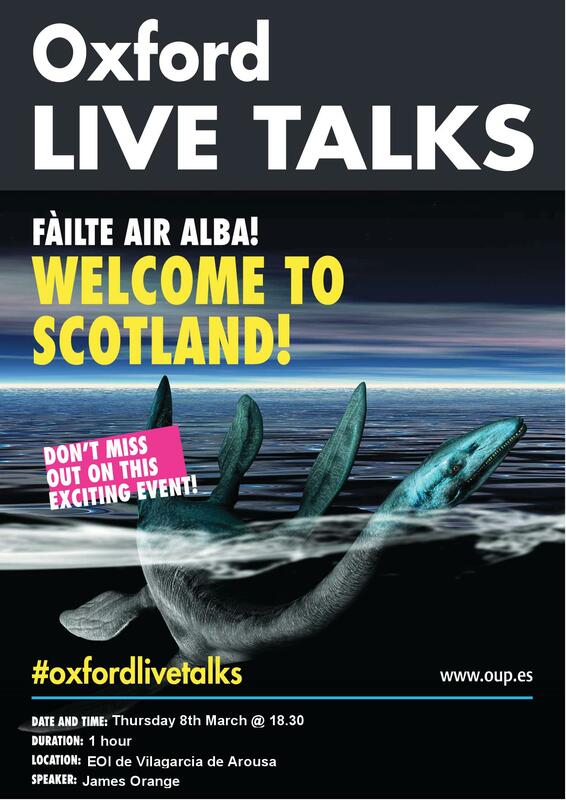 Do not miss this interesting and dynamic talk about Scotland, by James Orange, an ELT Consultant for Oxford University Press. After studying law and several years of English teaching, he has worked in the publishing industry here in Spain for almost three decades. He lives in Galicia and loves travelling, learning and sports. With him, we will be able to learn about Scotland and go through a virtual tour of the geography, history and culture of this beautiful country. An interactive talk with videos, images and a final quiz. Don't miss it!